The effort to incorporate the proposed City of St. George (pop. 107,000) has picked up a new ally ­ ­— the Republican Party of the East Baton Rouge Parish. The GOP has announ-ced its endorsement of efforts to put the proposed incorporation on the election ballot. 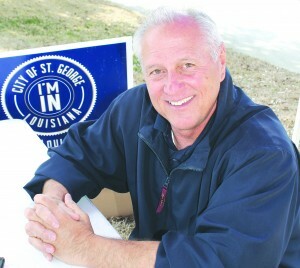 St. George leader Norman Browning said his group is aiming for a public referendum on Tuesday, Nov. 4, 2014, the same day as U.S. Senate and Congress. The Republican Parish Executive Committee voted to support placing incorporation before voters. The Republican Party said it will be working more closely with leaders of the St. George movement, in order to help get the proposal on the ballot, so that it can be more fully discussed by the electorate.